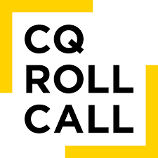 (April 11, 2019) - The Florida House passed its bill setting requirements and limitations for assignment of benefit agreements and changing rules for attorney fee payments in AOB lawsuits, sending it to the Senate, which is considering its own proposed changes to the law. By 96-20 vote Thursday, the House passed a bill (HB 7605) that includes an amendment by sponsor Rep. Bob Rommel adopted the day before. If that difference is less than a quarter of the disputed amount, the insurer can be awarded “reasonable” attorneys’ fees. If that difference is at least a quarter but less than half of the disputed amount, neither party can receive attorneys’ fees. If that difference is at least half of the disputed amount, the assignee can receive “reasonable” attorneys’ fees. The Florida Senate is considering a different approach. Under its bill, the “prevailing party” in a case could receive attorneys’ fees and that party would be determined by the court -- depending on the issues, the number of claims compared with the amount recovered, “the existence of setoffs and counterclaims, if any” and “the amounts offered by either party to resolve the issues prior to or during litigation,” according to the bill. A court also “may determine” a case doesn’t have a prevailing party. The Senate Judiciary Committee amended the bill (SB 122) to require AOB and other post-loss agreements be made in writing with specific details. The amended bill passed the committee on a 5-1 vote, after having cleared the Banking and Insurance Committee by a 5-3 vote earlier. It now awaits action by the full Senate. The bill would prohibit the right to receive payment for attorney fees when an insured person or beneficiary wins a case against an insurer. 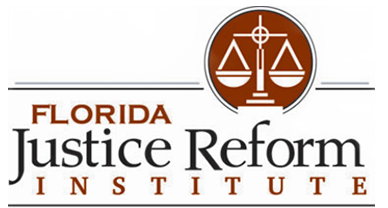 Florida Justice Reform Institute President William Large praised House passage of the bill and said it “will help stabilize runaway assignment of benefits litigation and give policyholders the tools they need to better protect themselves against predatory lawyers and vendors.” He added that the Institute urges the Senate to take up the House bill and pass it. Insurance companies have an incentive to pay “slightly inflated” claims because of the “one-way attorney’s fees” policy, the Insurance Information Institute explained in a study about AOB agreements last year. Nearly 135,000 lawsuits over AOB agreements were filed in Florida in 2018 through Nov. 9, an increase of 70 percent over the last five years, according to the Institute’s report.